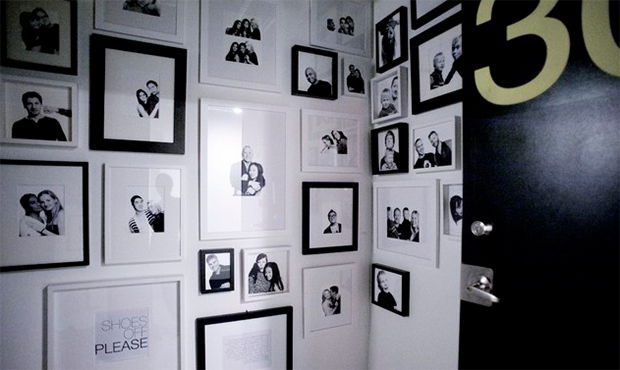 Adding a wall gallery would be a great idea to give your walls a lovely design. Well, no one wants a dry, dull and boring wall. 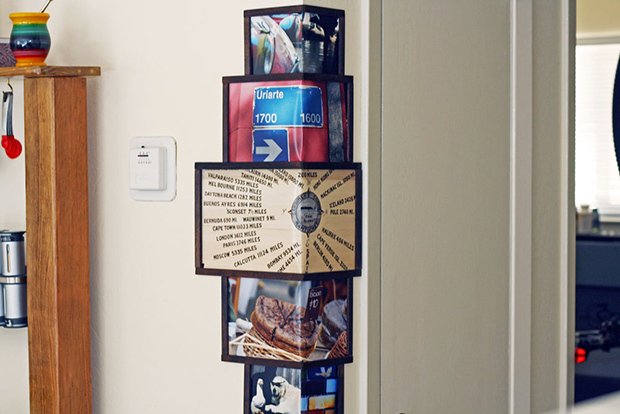 So, why don’t you gather some photos or print some of your favorite images and frame them? 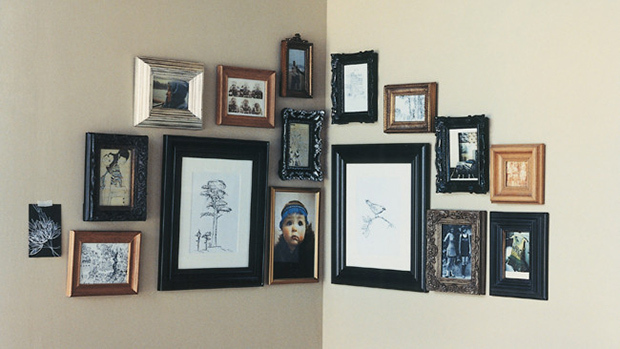 Pick different sizes for the frames and be creative in putting them up to your walls. 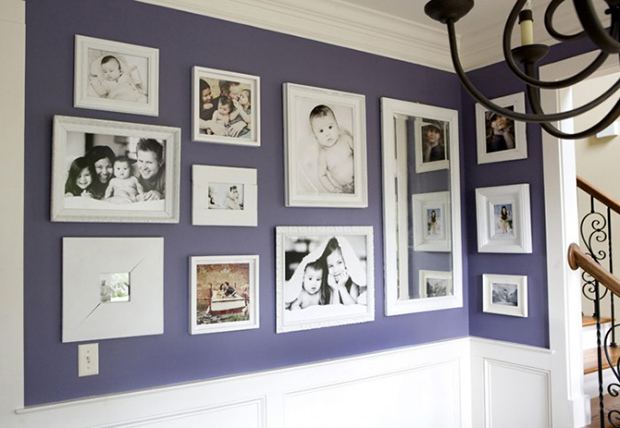 Aside from installing frames on the wall in just the usual manner, why don’t you try to gather them around a corner? Doing that will make it look even more beautiful and creative! If you wonder how that is done, we have here some ideas for you. There are also wrap around corner wall frames that looks very interesting! 1. 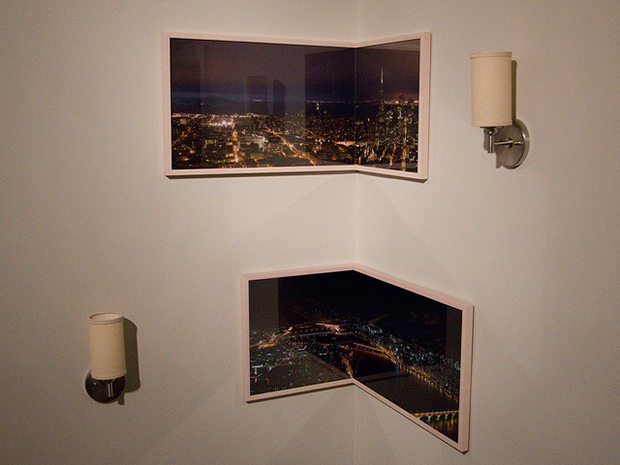 The picture frames here seem like wrapped on the corner of the wall. Pretty creative! 2. 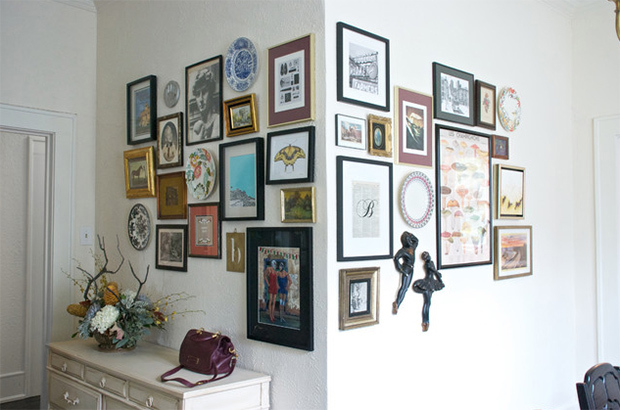 You can also simply arrange frames of different sizes around the corner. 3. This one isn’t just a wall frame but a corner shelf too! 4. 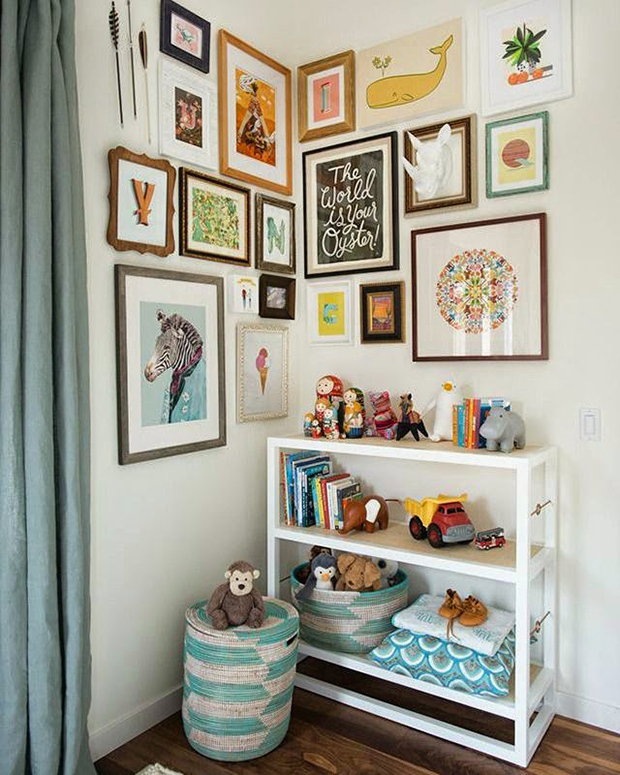 Play with wall frames like this one for a corner! 5. 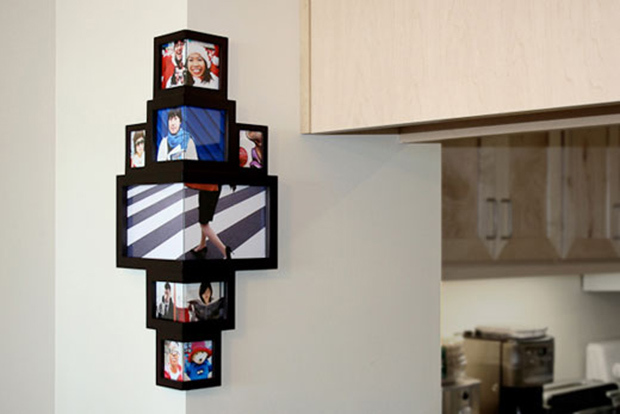 I actually think this corner photo frame is very beautiful! It can add life to any boring corner. 6. Not sure if this one is just for presentation or they really have these frames outdoors. 7. I find this gorgeous as it used gold, white and black for its corner gallery near the staircase. 8. 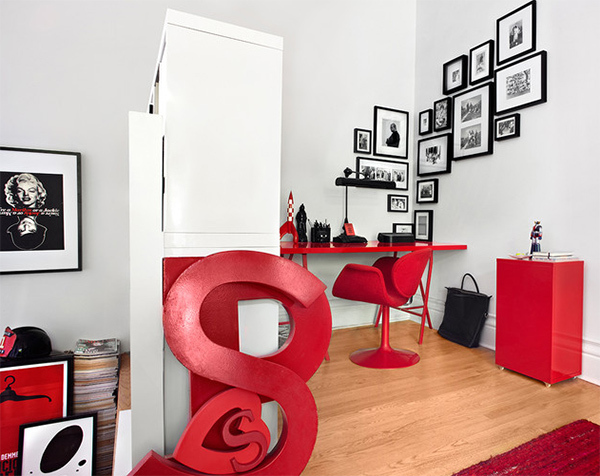 This is how you style a corner gallery with black and white colors. So stunning! 9. 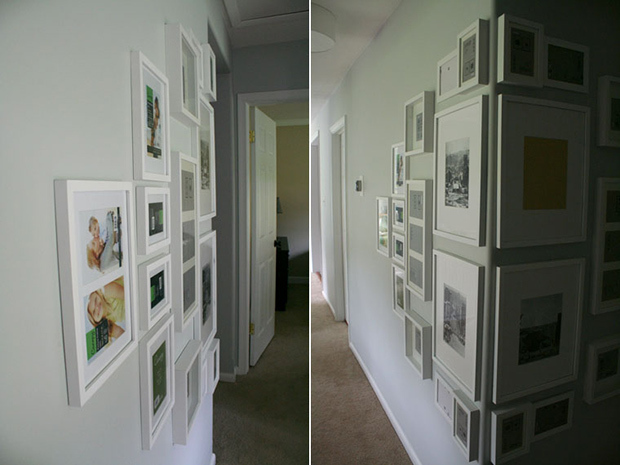 Get different frame sizes and try them on your wall before you finalize its installation to get a gallery like this. 10. For a nursery, you can add some fun to the corners this way! 11. 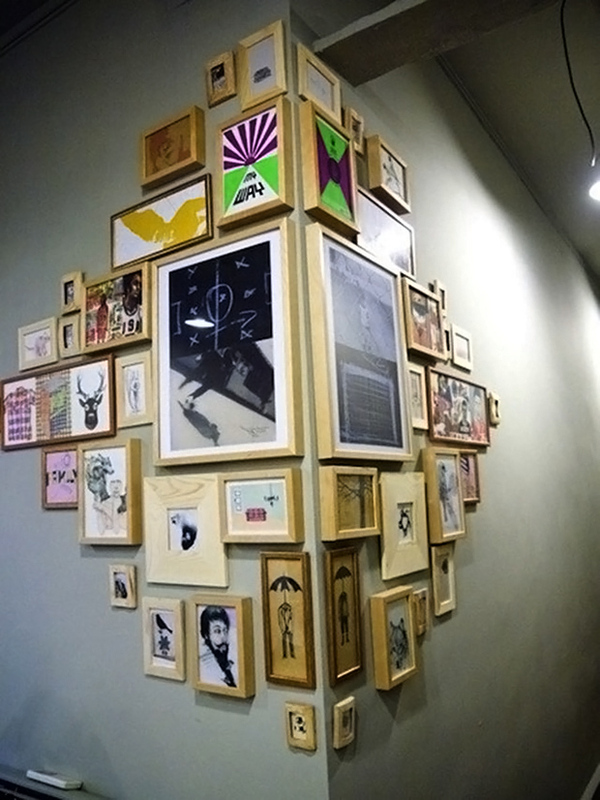 Pretty creative indeed since the folded part for the corner differs from one frame to another. 12. 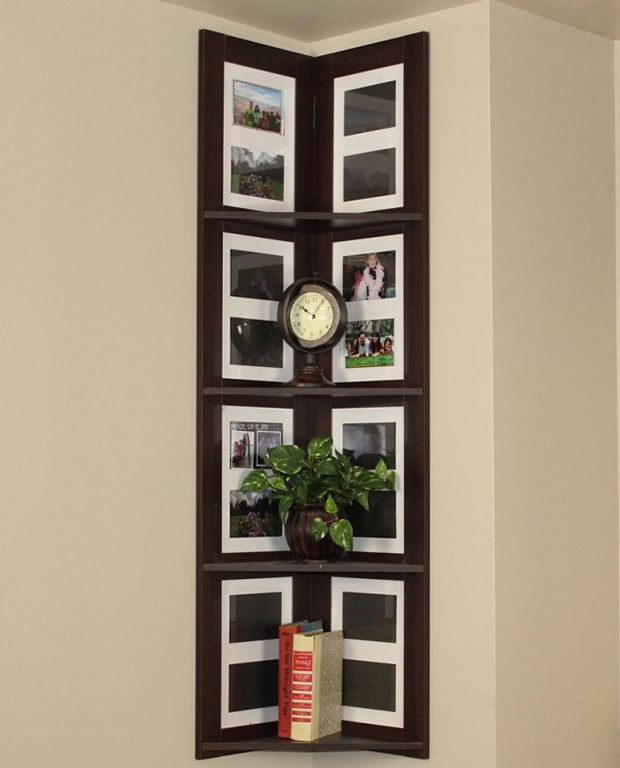 The center frame looks folded for a unique wall decor. 13. Corner wall frames come in different colors. You just choose which one suits your space. 14. You can gather wall frames on a corner like this way wherein there are more frames on the other side. 15. 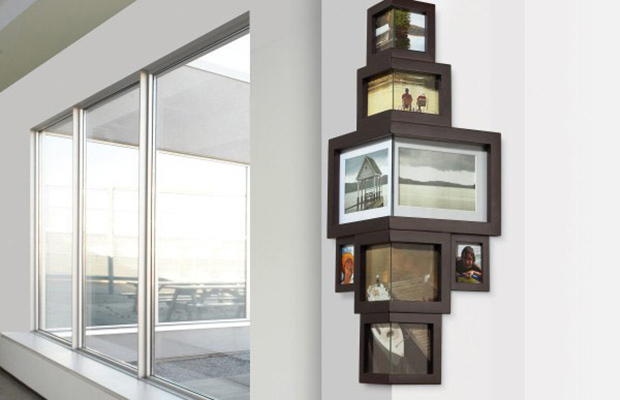 Showcase your collection through frames and add some wall sculptures too! 16. 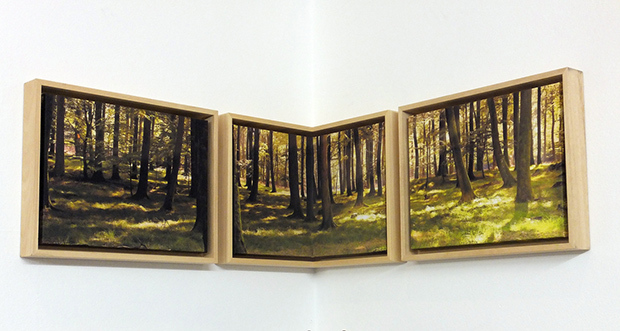 A wrap around wall frame in varying sizes. No boring corner anymore! 17. 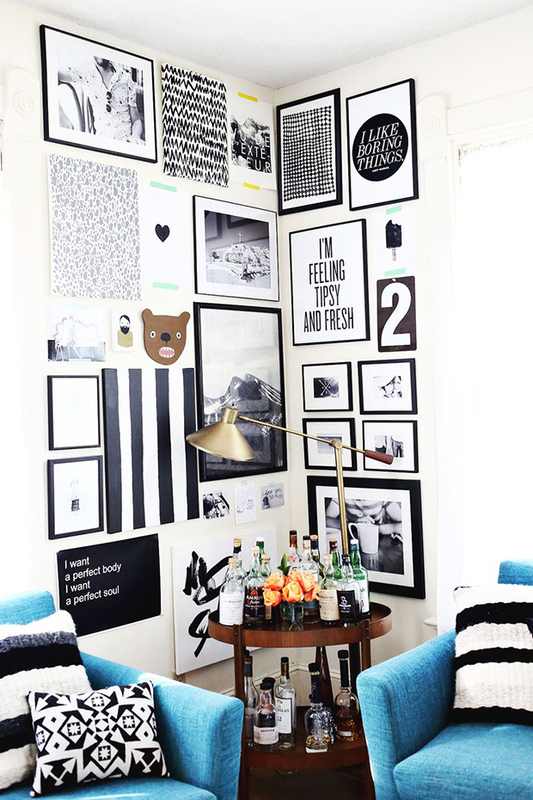 I honestly love the colors of this space and yes, that wall with photos gathered on the corner. 18. Fill in a black corner with black and white photos like this! 19. I like how theses frame made this wall look even brighter. 20. Aside from the different frame sizes, it would also be nice to get frames with lovely designs. See? 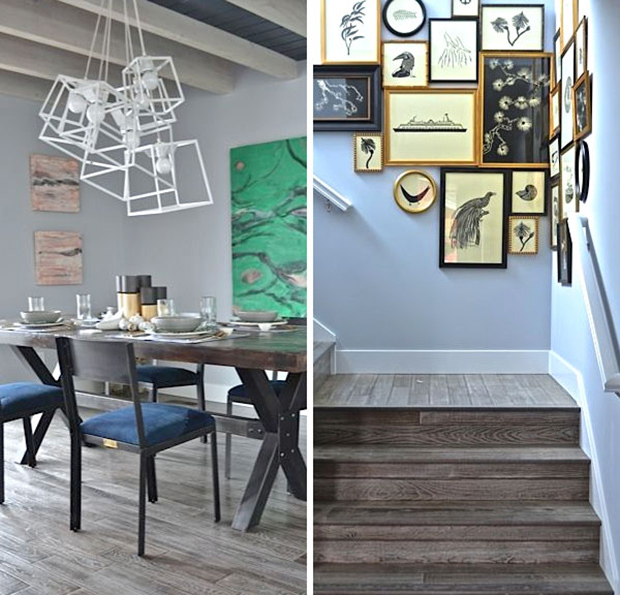 Even the manner of how you position the wall frames can have a huge impact on your interior. 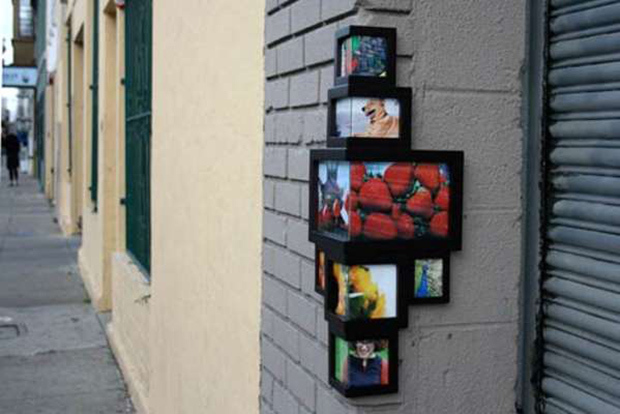 Yes, you can be creative with just anything, even for you wall gallery! Don’t forget to get beautiful frame designs as well as eye-catching photos. 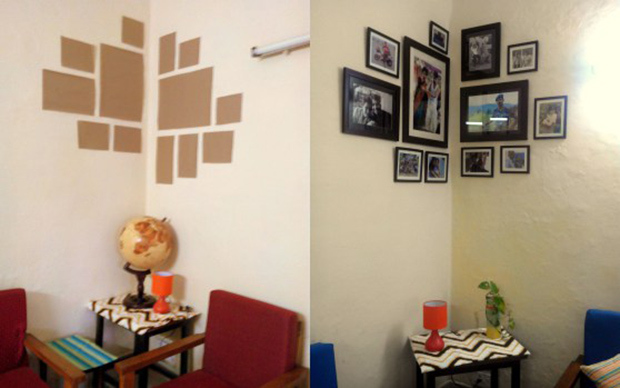 Now, since you have seen how nice corner wall frames are, would you like to try it? Don’t forget tell your friends about this exciting way to create a gallery! Let Your Dog Sleep Like A King. You’ll Surely Envy Their Beds! This Lamp Transforms from 2D to 3D. You’ll Surely Reach for It to Check! These Will Make You Think Of How BORING Your Electrical Outlets Are. Literally. These 20 Extremely Weird Chair Designs Will Make You Think Twice of Sitting On It.